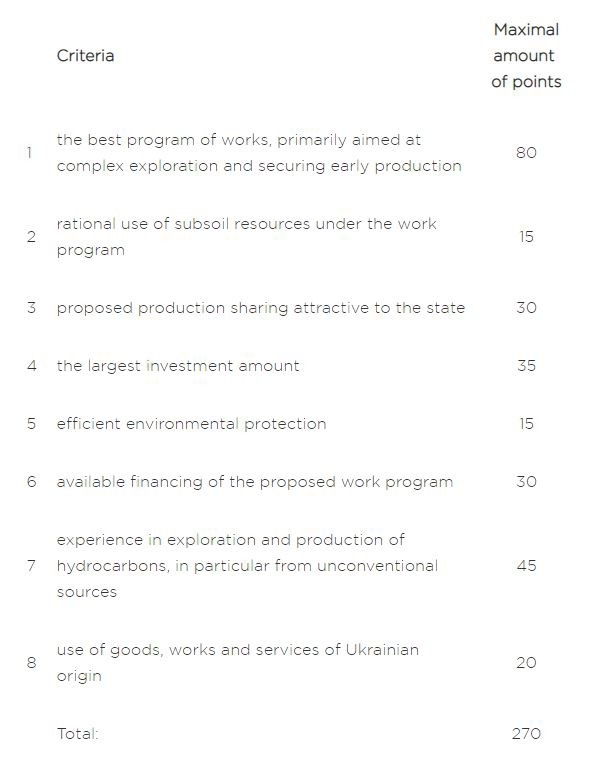 As a follow-up to the Cabinet of Minister of Ukraine Resolutions of 18 December 2018 on holding 12 oil and gas production sharing agreements (the "PSA") (more info in our newsletter), the Ministry of Energy and Coal Industry of Ukraine (the "Ministry") published announcements on launching 9 PSA tenders. Information on the location, minimum investment requirements, minimum work program, and summary of the geological data and contact information for obtaining geological data for all 9 blocks may be found following this link. Potential bidders have 90 days until 5.30 pm on 28 May 2019 for submission of bids to the Ministry. The winner will be announced on 28 June 2019. The fee for participation in one PSA tender is 300,000 UAH (approx. 9,800 EUR). any additional proposals relevant to implementation of tender terms.